Deals with triggers of and methods for working with grief. When all seems dark and dreary… how do I find and reclaim myself? The world seems dark, closing in around me. My vision has dimmed. My inner emotional and mental turmoil grows. Dense, dark clouds of desperation choke me. I feel like I am losing myself, my grip on reality, and wonder how or why I should carry on. And only moments ago I felt okay. What changed? Why am I pitching and tossing as though I am in a tiny boat on a raging ocean storm? Where is my virtue? Why has my positive sense of self vanished? 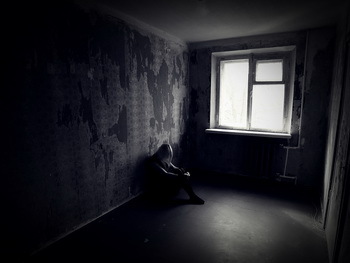 Why do I feel abandoned and alone? Is there a way out of this seemingly impenetrable darkness? Why can’t light flood in as easily as the darkness? What am I to do? Ever known moments or periods like that? I have. It can seem like goodness has evaporated and darkness is all that is available. What causes such experiences? How can such moments/periods be overcome? Answering questions such as these was part of the motivation behind my book, Appreciate the fog: embrace change with power and purpose. I continue to experience and learn. Many things can create the loss of light, disconnection from what feels positive and good, and plunge us into chaos, confusion, and uncertainty. Trauma certainly can. New trauma messes with our sense of safety and trust. Events may remind us of past trauma and return us emotionally and mentally to old states. Loss, and the accompanying grief, is another trigger. Losing someone through death, capability through illness or accident, a job through retrenchment, or any number of other sources, can cause us to question life, purpose, and our place in the scheme of things. Shame can trigger the downward spiral or dramatic plunge, as the case may be. It could be through returning to an old habit, one we thought we had beaten, or being reminded of something we have done that we regret. Shame can also accentuate the downward process initiated by other causes. This one has a fabulous ally in the descent into darkness, our inner critic, who, through shame, has received a package of evidence of our uselessness as an individual. We may have a massive job disentangling ourselves from our critic’s habitual negative messages before we can even consider climbing out of the pit. The critic is such a potent voice, and if we attack the critic for being critical, it only serves to strengthen the critic and deepen the hole we are in. There are many other triggers that can take us down. With the brain surgery I had several years ago came a raft of such roller-coaster experiences. It was traumatic in the extreme, far more so than it actually seemed to be. One moment I was fine. The next I learned I had a life threatening tumour, and had life-saving and life-changing surgery with loss of physical function and capability. It is all invisible disability, but I know it is there. So does my critic. Every now and then I find myself back in the negative soup, needing to yet again extricate myself. In response to the trauma, I found myself plunged back into unproductive patterns I hadn’t seen since I was a teenager where I had little trust that I would be okay. For all the miraculous outcome of the surgical intervention, a brain tumour does highlight safety concerns, and I found myself working with very old patterns and attitudes: isolation, distrust of others and life in general, and a generally bleak mental outlook. “There goes 30+ years of personal work down the toilet” was one of my evaluative internal comments. “Hey, I have written a book about this stuff. How could I get caught in this trap?” Pretty easily actually. The brain never drops old wiring. We may manage to create new pathways and implement new habits, including mental and emotional responses, that are useful and forward moving. In some ways trauma can unearth disused paths and bring them back into use. The difference this time however is that I have worked my way through and out before. I am armed with that knowledge and capacity. This whole process became another chance to bed down the restorative processes, and heal past old hurts at a deeper level. Implement new positive routines. These have the effect of reminding ourselves we matter and provide positive feedback and self-care. For me, something as simple as stopping each hour to do a few stretches that break up my day of sitting and working on the computer makes a massive difference to my sense of self and my outlook. Inventory the qualities and virtues you seem to have lost, and reclaim them. When I hit these sorts of dark places I tend to lose playfulness, trust, hope, delight, innocence, many other child-like qualities. The world seems to be too big, bad and unsafe, so they get stowed for a brighter day. Without them the brighter day doesn’t actually happen. Check in on what you don’t seem to have access to, because you have hidden them away, and reclaim them. Bring them back into active use. For me I metaphorically throw my items into a sack I carry on my back. To reclaim them I go through a process of recognising that has happened, and mentally opening and exploring my sack to find the qualities I want back. Sometimes I use a physical bag full of items and enact the process to strengthen my mental and emotional connection to reclaiming myself. That has a great effect in opening my awareness, establishing the importance of the qualities I am reclaiming, and reasserting them as valuable and available in my life. The world gets brighter in that moment. Practice loving and accepting yourself. A simple way of doing this is to say: “I love myself and I accept myself, even though I don’t understand myself… and I forgive myself.” You could even list the things you find difficult to understand about yourself. This phrase asserts love and acceptance without judging yourself as good or bad . You can up the experience by standing at a mirror, taking up your own gaze, and then saying it. Do this multiple times and notice your inner response to yourself saying such a simple statement. I find this is an invaluable feedback mechanism. Any difficulty I have when holding my own gaze and saying this statement quickly informs me how strongly judgemental and unaccepting I am of myself in that moment. Staying with myself, when it is difficult, and finding a way back to loving and accepting myself, is a powerful, valuable, and often challenging, investment in self. Gratitude. Find and name a few things for which you are truly grateful. If you can’t find anything, ask yourself what you could be grateful for, and then be grateful for that, and for asking the question. If you have done any of the previous actions, or anything else that works for you, express gratitude to yourself for doing them, for investing in yourself. Work with whatever small sliver you can find, and build on it. Practice while the going is good. Build up your capacity to reclaim yourself when you don’t need to. It is easier to hit those negative experiences if you are already resourced. As challenging as my process of working through my surgery and aftermath has been, it has been much easier for having already established mechanisms for reclaiming myself. There have been times when, regardless of all I know, I wondered what the point was, but underneath I have known there is a point, and I that I could find my way back. These are by no means all you can do. What are ways that work when you need to reclaim yourself? Refer to “Reclaiming Self” for an earlier article on the same subject.